FOWLER, DANIEL, artist, farmer, journalist, and author; b. 10 Feb. 1810 in Champion Hill, Camberwell (London), England, son of Daniel Fowler and Mary Ann Pope; m. 6 Aug. 1835 Elizabeth Gale in London, and they had three daughters and two sons; d. 14 Sept. 1894 at his home on Amherst Island, Ont. Daniel Fowler was born into an upper-middle-class family of some means. His recollections of childhood relate to life in the secluded village of Downe, Kent (now part of London), to which the family moved about 1815. There, with his three elder sisters, he was under the charge of a resident governess, and strict order and discipline were the norm. Of these years Fowler later wrote, “I had great fondness for both reading and drawing. I never could have enough of either. I was never so happy as with pencil and paper, unless it was with a book.” At the age of eight he was sent away to school, first to Alfred House Academy, Camberwell, where he spent two rather unhappy years, which he described in retrospect as “a living death.” At ten he transferred to Cogan’s School, Walthamstow (London), where he spent six and a half years. A fellow student, briefly, was Benjamin Disraeli. Cogan’s was a purely classical school and, to Fowler, a great improvement over Alfred House. “My work gave me no trouble; it was very rarely that I lost the first place in my class. I had Latin at my fingers’ ends, and had reached the reading of Greek plays. . . . There was a capital school library. . . . Then I had good opportunity for taking up and carrying on my drawing with the master who attended; many and many was the half-holiday that I devoted to it.” The coordination of hand and eye, developed to a remarkable extent in Fowler’s work, was fostered by his practice of drawing from an early age directly from the subject. On leaving school he enjoyed a period of leisure, learning the fashionable, gentlemanly pursuits of driving a carriage and pair and of partridge shooting. At age 18 he was articled to Doctors’ Commons by his father, but he had little inclination for the law and abandoned it on his father’s death in 1829. As the eldest son, he took on the management of his mother’s affairs and turned again to drawing. There followed constant practice, lessons from an artist friend, and the “complete revelation” of a visit around 1830 to the water-colour painter William Henry Hunt. The greatest impact, however, came from his first sight, around that time, of water-colours by Turner. For three years beginning in 1831, Fowler was a pupil of James Duffield Harding in London. Harding was well regarded for his publications on landscape drawing and for the technical mastery of water-colours he painted in the studio in the picturesque manner. Fowler’s growing familiarity with the work of English landscape painters such as Turner, Constable, David Cox, Peter De Wint, and John Sell Cotman, and a meeting with the eminent lithographer Charles Joseph Hullmandel, soon stimulated him, however, to paint directly from nature rather than in the studio. At Harding’s suggestion Fowler, already a gifted draftsman, began to give lessons in drawing about 1832. Although of some financial help, teaching interfered with his goal of becoming an artist and did not suit his retiring nature and far from robust health. (By 1834 four sisters and a brother had died of tuberculosis, which also threatened Daniel.) Much more to his taste were the frequent sketching trips in England and Wales and, above all, a tour of Europe in 1834–35 with a companion, Robert Leake Gale, brother of his future wife. Their route, planned for them by Hullmandel, took them through the Swiss and Italian Alps, an experience of the picturesque in landscape which 19th-century British painters, particularly Turner, considered essential. The tour was rudely interrupted when Daniel contracted smallpox on the journey and was seriously ill in Rome for a month. His gradual recovery enabled him to sketch extensively in Rome and elsewhere in Italy, and by the early summer of 1835 he had recovered sufficiently to cross, on foot and alone, the difficult Great Saint Bernard Pass on his journey home. Back in London he married, set up a studio, and resumed teaching and sketching. Between 1836 and 1842 he exhibited 16 paintings, mainly European and English landscapes, at the Society of British Artists and one at the Royal Academy of Arts. 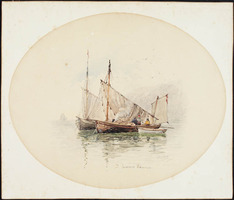 At this time too he renewed his acquaintance with Edward Lear, the noted humorist and landscape painter, and sketched with him in England and on the Continent; they remained friends for life. Fowler’s distaste for teaching, his precarious health, and his concerns about the cost of raising a growing family in London and of maintaining a studio there forced him to reconsider his situation. For the sake of his health he was advised to leave England and seek an open-air life. To his credit he faced the issue squarely, although he was deeply mortified at his inability to provide for his family as an artist. He decided to immigrate to Upper Canada, and in June 1843, with his wife, three children, a nurse, and a brother (probably Reginald), he reached Amherst Island, at the east end of Lake Ontario, where Robert Leake Gale had settled. Fowler was immediately attracted by the island but decided to explore further before choosing where to live. From 11 to 24 June he travelled with his brother and other companions as far west as London, which he described as “literally dug out of the woods – stumps up to the back doors. A hideous new raw place.” Nothing he encountered during this journey rivalled the charm of Amherst Island; to him it resembled the countryside of his early years. Deciding to settle, he paid £500 in cash for the Cedars, a 150-acre farm facing the Bay of Quinte. Their third daughter was born in August. Little in Fowler’s past had prepared him for the life of a farmer in a new country. He gave up painting completely for 14 years, concentrating on learning to farm and on improving the house. Through hard, physical work he made the farm self-sufficient and, as had been hoped, brought about an immense improvement in his health, although he never became robust. His fortitude was severely tested when fire destroyed their home in December 1847. Rebuilt almost single-handed by Fowler himself between 1848 and 1850, it stands to this day. By 1857 he felt sufficiently confident to leave the farm in the care of a hired man while he made his first return journey to England, to visit his mother in Maidstone. This trip, with the opportunities it afforded to attend art exhibitions in London and to encounter the work of the Pre-Raphaelite Brotherhood, was another turning-point for him. He returned to Amherst Island before the year ended with drawing supplies and his old love of painting rekindled, ready, at age 47, to begin a second career in art. Setting up a studio in his house, he devoted whatever time he could spare to painting in water-colour (he did not work in oils). He developed his ideas from small, intimate black and white sketches made outdoors and added colour, “invented and groped for” in the manner of Harding, in the studio. The paintings he produced were of varying dimensions; some measured about 20 by 28 inches, quite a generous size for water-colours. There was little interest in art in mid-19th-century Upper Canada and few outlets for the sale of work. In 1859 Fowler took some drawings – “all on a small scale, tentative and experimental” – to England, in part to seek a dealer but primarily to secure opinions of his work. Dealers were not interested and, with characteristic honesty, on his return home he recognized the need for a new approach. A product of English training, in which great attention was given to drawing, Fowler freed himself in Canada from certain restraints inherent in the English water-colour tradition and found his own, free style, with colour applied directly. That year he began to paint from nature, bypassing the studio. A few modest paintings of objects around the farm – a rope, harness, and wheelbarrow – reveal an acute observation of colour and tone as structure, which was new and personal. Fowler’s Canadian subjects fall into three categories: dead game, flowers, and landscapes. The best of these paintings – and Fowler remains one of Canada’s finest water-colourists – show a mastery of observation and a sureness and economy of means, while retaining great freedom and a directness of stroke that is bold and fresh. He was very proud of the technique he had arrived at for painting backgrounds in still-life and flower paintings, but in many instances these invented backgrounds are divorced from the realism of the dead birds or flowers and detract from the whole. One flower painting, Hollyhocks (1869), won a bronze medal and diploma in 1876 at the Philadelphia Centennial International Exhibition. With this prize, the first international award given to a Canadian artist, Fowler felt he had reached the climax of his career. Painted at Gilbert’s suggestion, Hollyhocks was first exhibited at the AAM in 1870. The prize for “best watercolour, any subject” was awarded to Jacobi, who insisted that Fowler’s painting was better than his, whereupon the prize was divided between them. Fowler, objecting to the compromise, demanded an explanation which, when given by the committee of awards, led to a warm friendship between the two artists. Hollyhocks, now in the National Gallery of Canada and somewhat faded, still reveals Fowler’s unrivalled sensitivity to colour and tone in recreating the brilliance of these delicate flowers. He describes in his autobiography walking three miles each day while at work on this painting to secure fresh and perfect blooms. In 1880 Fowler became a charter member of the Royal Canadian Academy of Arts [see John Douglas Sutherland Campbell*], and he exhibited there until 1893. Each academician was called on to donate a work that would help form the nucleus of the national art collection. Fowler’s diploma work, Dead Canadian game, was one of a number of his paintings of dead birds that were popular in the 1870s and 1880s. Although the paintings vary in the quality of composition, all are meticulously observed renderings painted directly from the subjects themselves. In addition to submitting paintings to the Industrial Exhibition, Toronto, from 1883 to 1894, he received a medal and diploma in 1886 at the Colonial and Indian Exhibition in London and in 1893 at the Columbian exposition in Chicago. His friends came to his aid when works he exhibited created controversy. A large proportion of art shown in Canadian exhibitions depicted British and European subject-matter, and Fowler’s submissions were no exception. Among the works he displayed were water-colour landscapes and street scenes derived from hundreds of sketches he had made in Europe, all of which, along with his books, had been saved from the 1847 fire. In 1885 Fowler was accused of having copied them from prints appearing in travel books. 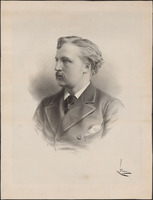 Despite the support of friends such as Homer Ransford Watson*, who wrote in his defence, the controversy and unjust accusation caused him grave concern. A man of wide sympathies, Fowler had continued to read extensively in the isolation of his Amherst Island home. As late as 1892 he mentions receiving regularly, and reading with interest, a number of American, British, and Canadian journals. The Illustrated London News he found particularly helpful in the education of his children, which he directed himself. 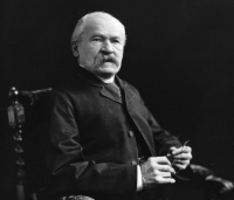 He contributed articles, letters, and critical reviews, sometimes unsigned, over a period of at least 20 years, mainly in the 1870s and 1880s, to periodicals such as the Week, Chambers’s Journal, All the Year Round, and the Canadian Monthly and National Review. The wide-ranging subject-matter of these submissions included Darwin, Disraeli, Gladstone, women in Shakespeare, Harriet Martineau, the Irish Question, and Millet. Although these writings, with their lucid and strong prose, were not inconsiderable, he was extremely modest about them. His most ambitious undertaking, however, was an autobiography, begun in 1893. Hector Willoughby Charlesworth*, a journalist, met Fowler about that time; evidently unaware of Fowler’s published work, Charlesworth said of the autobiography: “He writes concise and trenchant English, remarkable in a man past fourscore years who had never engaged in literary pursuits. His story should one day be published, not because of the place its author holds as a painter, but because it gives a most interesting account of the England of his boyhood, the period immediately succeeding the Napoleonic wars; and also an intimate and sympathetic picture of rural life in Upper Canada in the pre-Confederation era.” The autobiography remained unfinished at Fowler’s death in 1894. [The inventory of Daniel Fowler’s sketches and paintings at the Agnes Etherington Art Centre, Queen’s Univ. (Kingston, Ont. ), numbers over 1,000 works, some three-quarters of which have been photographed. In addition to the centre’s collection of his art, important holdings are those of the Art Gallery of Hamilton (Hamilton, Ont. ); the National Gallery of Canada and the NA, Documentary Art and Photography Division, both in Ottawa; and, in Toronto, the Art Gallery of Ontario and the Royal Ontario Museum, Sigmund Samuel Canadiana Building. The lively diary of Fowler’s 1843 journey across Upper Canada in search of a place to settle is preserved at AO, MS 199; excerpts from it were published as “An artist inspects Upper Canada: the diary of Daniel Fowler, 1843,” ed. T. R. Lee, OH, 50 (1958): 211–18. His own drawing of the house he built on Amherst Island appears in Illustrated historical atlas of the counties of Frontenac, Lennox and Addington, Ontario (Toronto, 1878; repr. Belleville, Ont., 1971). The manuscript of his autobiography, “Old Times, Old Houses, and Old Habits” (1893–94), which is held by the Agnes Etherington Art Centre, was first published in its entirety in F. K. Smith, Daniel Fowler of Amherst Island, 1810–1894 (Kingston, 1979); an earlier version, “The artist turns farmer: chapters from the autobiography of Daniel Fowler,” ed. T. R. Lee, OH, 52 (1960): 98–110, was prepared from a typescript in the possession of his descendants. The Agnes Etherington Art Centre also holds photocopies of the 17 surviving letters from Fowler to Louisa Annie Murray written between 1866 and 1894. The letters, concerned mainly with literary matters, criticism, and discussion of books read, come from a larger collection of correspondence to Murray which York Univ. Arch. (Toronto) photocopied in 1969 from originals held by a descendant, Louisa Murray King of North Andover, Mass. ; the whereabouts of Murray’s letters to Fowler remain unknown. Genealogical information has been taken mainly from the Fowler family bible in the possession of descendants. AO, MU 584, sect.iv, Fowler–Spooner corr. Art Gallery of Ontario, Library, R. F. Gagen, “Ontario art chronicle” (typescript, c. 1919); T. R. Lee coll., Daniel Fowler papers. NA, RG. 11, B2(a), 1027: 158440; 1030: 158816. National Gallery of Canada, H. R. Watson papers. Week, 19 Oct. 1894. A checklist of literary materials in “The Week” (Toronto, 1883–1896), comp. D. M. R. Bentley, assisted by M. L. Wickens (Ottawa, 1978). J. W. L. Forster, “Art and artists in Ontario,” Canada, an encyclopædia (Hopkins), 4: 347–52. Harper, Early painters and engravers. An index to the “Canadian Monthly and National Review” and to “Rose-Belford’s Canadian Monthly and National Review,” 1872–1882, comp. M. G. Flitton (Toronto, 1976). Royal Canadian Academy of Arts; exhibitions and members, 1880–1979, comp. E. de R. McMann (Toronto, 1981). Standard dict. of Canadian biog. (Roberts and Tunnell). Christopher Wood, The dictionary of Victorian painters (2nd ed., Woodbridge, Eng., 1978). J. R. Harper, Painting in Canada, a history ([Toronto], 1966). W. S. Herrington, History of the county of Lennox and Addington (Toronto, 1913; repr. Belleville, 1972). Vivien Noakes, Edward Lear: the life of a wanderer (London, 1968). D. [R.] Reid, A concise history of Canadian painting (Toronto, 1973); “Our own country Canada”. Rebecca Sisler, Passionate spirits; a history of the Royal Canadian Academy of Arts, 1880–1980 (Toronto, 1980). F. K. Smith, “Daniel Fowler (1810–1894),” Lives and works of the Canadian artists (set of 20 pamphlets, Toronto, [1977–78]), no.3. [Includes a number of errors made by the publisher. f.k.s.] H. [W.] Charlesworth, “Autobiography of a Canadian painter,” Queen’s Quarterly (Kingston), 45 (1938): 88–96. 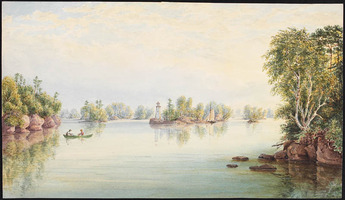 F. K. Smith, “Daniel Fowler of Amherst Island,” Historic Kingston, no.28 (1980): 25–34; “The will of Daniel Fowler of Amherst Island: ‘Memorials of the Early History of Canadian Art,’” RACAR (Ottawa), 6 (1979–80): 110–12. Frances K. Smith, “FOWLER, DANIEL,” in Dictionary of Canadian Biography, vol. 12, University of Toronto/Université Laval, 2003–, accessed April 26, 2019, http://www.biographi.ca/en/bio/fowler_daniel_12E.html.